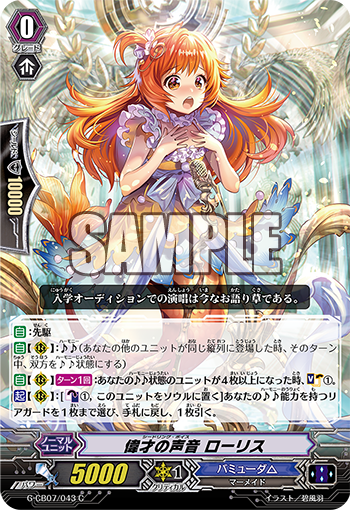 Today’s COTD is Lauris’s latest form as a starter for Harmony decks. AUTO (RC) 1/Turn When the number of units you have in harmony becomes 4 or more, Soul Charge 1. ACT (RC) [Counter Blast 1 & Put this unit into your soul] Choose one of your rear-guards with the Harmony abilty, return it to your hand and draw a card.